It was a record-breaking year for the number of new Michelin-starred restaurants, but as always there were plenty of controversies about who was picked and who was left out. Tom Shingler takes a look at why Michelin creates so much debate and how the 2019 announcement was different from previous years. Tom Shingler is the editor of Great British Chefs. It gets more than its fair share of stick, but there’s no denying the announcement of the Michelin Guide results (which you can view here) continues to be one of the most important events on the culinary calendar. Before the event you’ll see Twitter awash with people betting their lives on certain places getting a nod, then afterwards there’s plenty of congratulatory posts, outrage at those who were missed out and a fair amount of opinion pieces (this one included) debating the relevance of the Guide in a world of online peer reviews and social media. 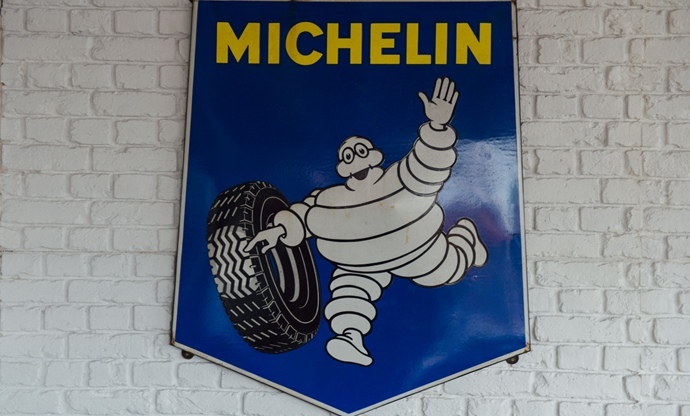 It’s certainly been a tough few years for Michelin. 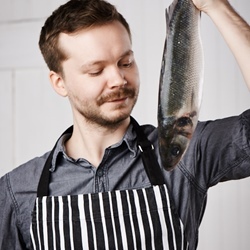 Competing restaurant guides have sprung up while more and more chefs have become disenchanted with the criteria needed to gain a star (even though Michelin says they are awarded purely for the food alone). The fact that the UK is home to more fantastic restaurants than ever before means the average diner has never been in a better position to choose where to eat out, be it somewhere casual and distinctly un-Michelin or a hallowed temple of gastronomy. Tastes are changing, too – it’s clear that things like silver service, white tablecloths and formal dress codes are (thankfully) nowhere near as popular as they used to be, as younger generations prefer buzzy, friendly, relaxed surroundings with the same quality on the plate. Whatever your stance is on Michelin, be you a chef or a diner, you can’t escape the fact that winning a star can change a restaurant overnight. It’s especially significant for restaurants off the beaten track that can’t rely on footfall, and there are still huge numbers of diners that refer to the guide whenever they are looking for a special meal out. It’s also a defining moment in any chef’s career; a sign that all those long hours and services have paid off. 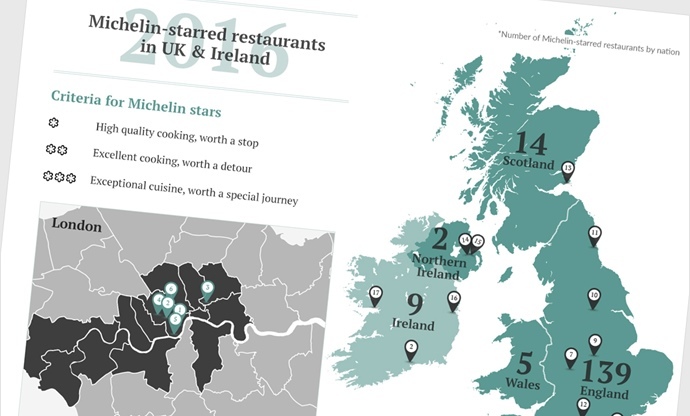 This year’s announcement (or ‘revelation’, as Michelin suitably calls it) was a record year for the UK and Ireland, with twenty-one new one-star restaurants and three new two-stars. As you can guess, all the winners we spoke to on the night were over the moon and no amount of Michelin-bashing should ever take away from what they’ve achieved. From our point of view, all the restaurants that were awarded one or two stars thoroughly deserved them, and Michelin were more on the money than they have been on previous years (although that’s not to say there were also some glaring omissions that we can’t get our heads around). Critiquing restaurants is such a subjective subject and because Michelin’s way of doing things is never really clear we can’t be sure of why they choose (or omit) establishments. Here’s what we think they got right – and what they got wrong. For several years now Michelin have constantly stated that they don’t favour old-school, French-influenced, prim-and-proper restaurants over more casual places – which is often (rightly) questioned by chefs and diners. This was the year that the company seemed to put their money where their mouth is, however, by awarding places like Brat, Salt and The Oxford Kitchen a star. These are restaurants that serve truly incredible food more than worthy of a star, just in relaxed surroundings – stripped back décor, a distinct lack of pristine tablecloths, chilled (yet attentive) service and not a white-gloved waiter in sight. After PR-generating stunts like awarding a street food stand a star in Singapore, this seems like a much more sensible way of making a Michelin star all about the food rather than how many silver spoons there are on the table. It was also good to see Ireland getting more attention than it usually does, with three new one-star restaurants bringing the country’s total to sixteen. All of them – Ichigo Ichie, Chestnut and Mews – are based in Cork, turning the trendy city into a Michelin hotspot. One of our favourite announcements of the night was Ikoyi, which won a star for its high-end take on West African cuisine. Owners Jeremy Chan and Iré Hassan-Odukale have been championed by every critic that’s eaten there but have struggled to fill tables, and it’s about time a restaurant that offers something totally different to everyone else got a nod from Michelin. After all, there are few places that bring African cuisine of any kind into the fine dining world in the UK. No new three stars. I just don’t get it. Are we the only country that Michelin represents that seems to be virtually incapable of breeding 3 star chefs? There are some 2 star restaurants out there in this great country that comfortably outshine many around the world with 3. Fact. This is the main sticking point for us and a lot of chefs and diners across the UK. Places like L’Enclume and Restaurant Sat Bains are truly world-class, so what is it that stops them rising to the top in the eyes of Michelin? The lack of information about what separates a two-star from a three-star makes this impossible to answer, and this secrecy is the reason why many see Michelin as annoying or irrelevant. It’s also difficult to see why places like Marcus and Le Champignon Sauvage went from two stars to one, as they seem to be doing exactly what they have done in previous years. While Ireland got its time in the spotlight, Wales, Northern Ireland and Scotland were bypassed completely, which either means there are no new Michelin-quality restaurants in any of these three countries (which simply isn’t true) or there’s a bias towards focusing on England above everywhere else (which is much more likely). The actual announcement was much slicker and grand than previous years, but we think there’s still a bit of work to be done. We’re obviously aware that the Michelin Guide is a branding exercise designed to, at the end of the day, sell Michelin tyres, but the need to tie this in to an event about restaurants just doesn’t work. All award ceremonies have their fair share of preamble, but Michelin seem to really revel in taking it to its limit in front of an audience of very nervous chefs. While a short film about cooking eggs was nicely done, we wish they’d just get on with announcing the results. And don’t even mention the attempt at an Oscars-esque selfie. 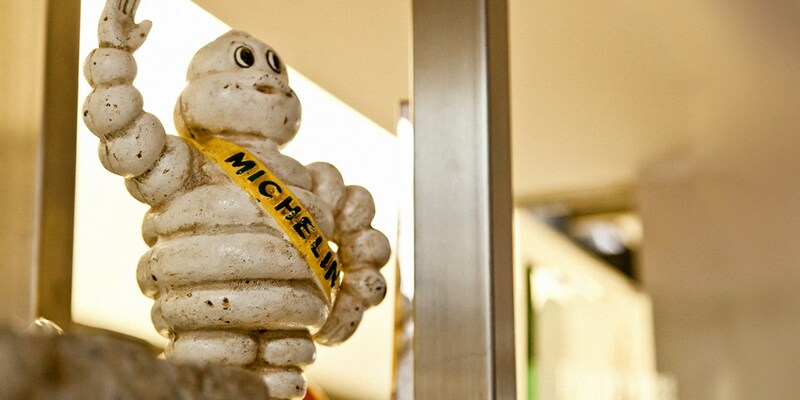 Overall, we think this year’s Michelin announcement was better than previous years, and the Guide is moving in the right direction to remain as relevant as it can in the face of competition (be that social media, TripAdvisor or other more transparent guides). The announcement is never going to be without its critics and controversy – publishing a book that aims to be an objective critique of something as subjective as food will never make everyone happy – but if it would just be a little more honest and open about how it comes to its decisions then at least we’d know why some restaurants are left out and others are kept in. There are still signs of Michelin needing to keep up with the times and the Guide’s Twitter account isn’t the best example of social media savviness (it has even blocked some of its more outspoken critics, which is never going to end well). We’re also pretty sure French fine dining institutions such as The Waterside Inn come under less scrutiny than perhaps they should when holding three stars, purely because they’re a useful ambassador for the Michelin brand around the world. However, this year’s winners were all fully deserving of their stars and none of the debate around Michelin should take away from that. The announcement always stokes a debate in the world of hospitality, which is good, and even the fiercest critics of the Guide tune into the live broadcast to see which restaurants win and lose. Whatever you think about Michelin, restaurant guides and rankings in general, it’s clear that the UK and Ireland’s restaurant scene has never been better. And while factors like Brexit will certainly throw all sorts of spanners into the works, we can only see it improving year after year.